Be patient and keep your calm. Decrease your speed. Do not use cruise control or overdrive on icy roads. Do not pass snow trucks or plows, as youíre likely to find the road ahead of them in bad condition. Give yourself enough space between your car and the car in front of you, ideally a 10-seccond reaction gap or a few hundred feet in distance. Slowly press or tap your brakes to slow down or stop. Never hit your brakes hard, as this will cause your car to slide and lose control. Slow down when going around curves. Think ahead and look for slowing traffic, out of control vehicles, trouble spots, and light changes. Use extra caution on bridges and overpasses, where the road surface freezes more quickly. Do not feel invincible if driving a car with four wheel drive. These vehicles have no advantage over regular cars when it comes to driving on ice. Take your foot off the gas pedal if your car begins to slide. Turn the wheel in the direction of the skid if your car begins to skid on the ice. Drive with your low beam headlights on, even in the daytime, to make yourself more visible to other drivers. Do not spin your wheels if you get stuck. Instead, turn your wheels from side to side to push snow out of the way and use a light touch on the gas to ease your car out. Finally, make sure your car is in good condition before winter weather hits. 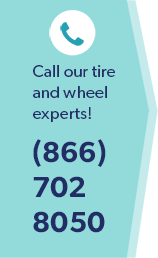 Make sure your tire tread is in good condition as part of your basic car maintenance routine. Bring your vehicle to Wiygul Automotive Clinic for a complete pre-winter weather check-up. Specializing in complete foreign and domestic repairs, Burke Center Automotive has been servicing the Northern Virginia area since 1996.